Partial to a canyon location? Lucky for you, this can be enjoyed both indoors and out. No matter your taste, this is the place! A recent freshening of paint, light fixtures and landscaping checks the box to move right on in. Inside, over-sized windows and graciously portioned rooms create an atmosphere that is light and airy. With the summer months coming, we think you'll appreciate how simply your guests can migrate from here to your backyard sanctuary with your pool. Poway Unified School District. Looks like we've found your new home! Perched in one of the most picturesque neighborhoods, this Crestmont home is privy to all kinds of curb appeal, but also sports a whole lot of good beyond just the pretty facade. Set within a winding tree-lined street in the most desirable location and nearly adjacent to Deer Valley Elementary School this will check all of your boxes! Despite all of the work, nearly $150,000 is found in upgrades, well thought out and executed. 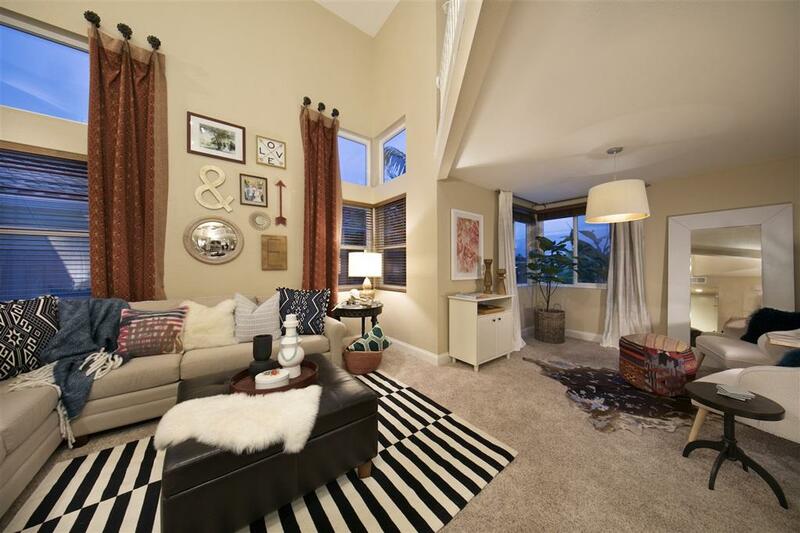 There is an attractive mix of fresh new paint, neutral carpeting and rich hardwood flooring. Thanks to the fireplace, the main dining and kitchen space is also well equipped for cozy nights. 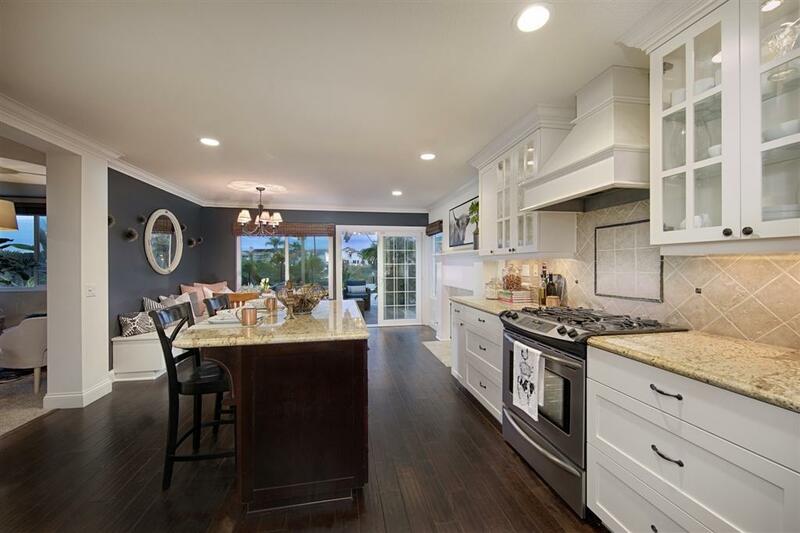 Custom kitchen features newer cabinetry, granite slab counters, oversized pantry space, gas cooking, stainless steel appliances and a hard wired center island. The master suite sports vaulted ceilings and stunning canyon views, en-suite two closets and (shoe lovers rejoice!) one of these-a spacious walk-in, with built-ins. The bathroom offers dual sink areas, Corian counters and a large soaking tub. 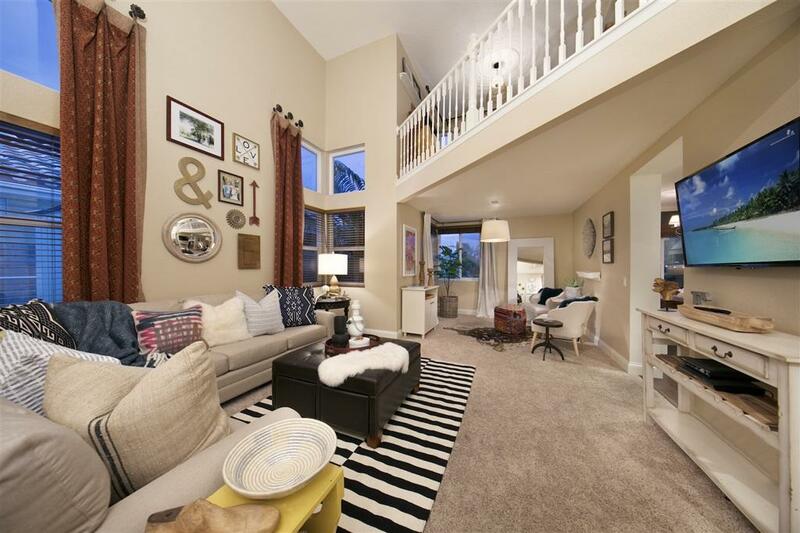 Two additional secondary bedrooms share a full jack and jill bathroom and maximizing space, there's an open air upstairs loft that is currently used as an office and adds approximately one hundred square feet of living area. Come warmer months you'll enjoy the sparkling solar heated pool and spa with updated pool equipment, safety fence that will convey with the property, baja bench entry for the little ones, travertine coping and luxurious polished pebble stone finish by Primera Stone that's easy on your feet and will have you forgoing your regular foot scrubs during that pedicure! Come enjoy the stunning views through the tempered glass while you enjoy the various levels of the rear yard area, with trellis and full outdoor kitchen. 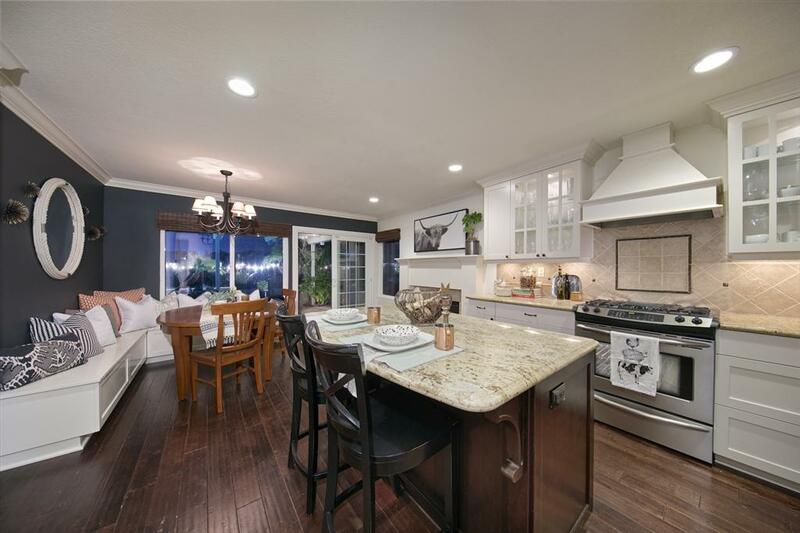 Also some of the newer additions: Milgard windows throughout, Quiet Whole house fan, Rheem Performance Platinum water heater, decorative lighting fixtures and LED canned lighting and a recent landscape refresh. As far as additional amenities go, you'll enjoy a forced air furnace and AC, rollup 2 car garage door, laundry hook ups and dedicated space in the garage, you're only a short stroll from all nearby schools and the 5-minute rule applies to shopping, restaurants and 56 freeway access.